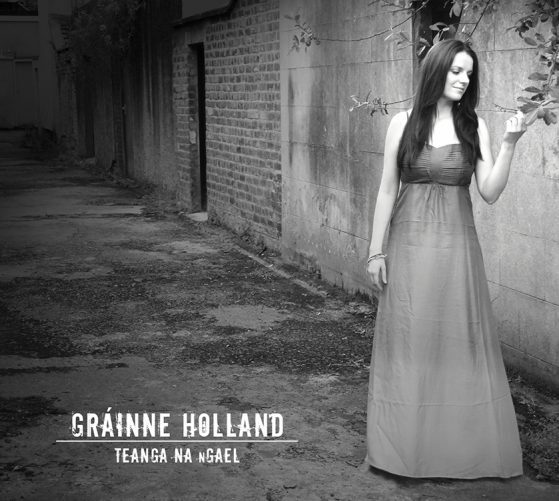 Teanga na nGael is a wonderful collection of traditional songs in Irish and Scottish Gaelic. The album features a brilliant line up of guest musicians including Dónal O’Connor, John Mc Sherry, Tony Byrne, Neil Martin, Rohan Young, Gary Duffy and more. The recording presents an authentic, modern, urban take on traditional Gaelic verse, reflecting Gráinne’s Belfast Gaeltacht roots. Teanga na nGael reflects a time and a place. Belfast is a city where the Gaelic Language lives strong. It is spoken with pride in the Gaeltacht Quarter of West Belfast, in City Centre pubs and clubs, at sessions, concerts and trendy café’s and galleries. The language has found an urban niche in which to flourish. This recording fuses both the urban Gaelic song tradition and the immense talent to be found in the vibrant Belfast traditional music scene. The result is a progressive album of stunning beauty.